Want your Word Docs to convert instantly to Google Docs? To upload those Word files and covert them to Google Docs to edit right away - please watch the GIF, 15 second YouTube video (same as GIF but with audio), or follow the directions at the bottom. This can save you lots and lots of time. 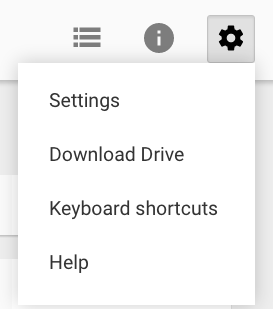 Make sure you select the gear icon on the right-hand side on Google Drive. Finally, make sure you check the box next to where it says Convert uploaded files to Google Docs.